Ceredigion Libraries aimed high at the start of October, aiming to attract 250 new members during the week celebrating libraries, going above and beyond their target over the whole month. In addition to access to new and old books, Ceredigion Libraries provide a wide range of services. You can download e-Books and popular magazines free of charge and an online Library Catalogue where members can check to see if a book is in stock, reserve a book or CD and renew books. There are several music and craft sessions on offer at the libraries. 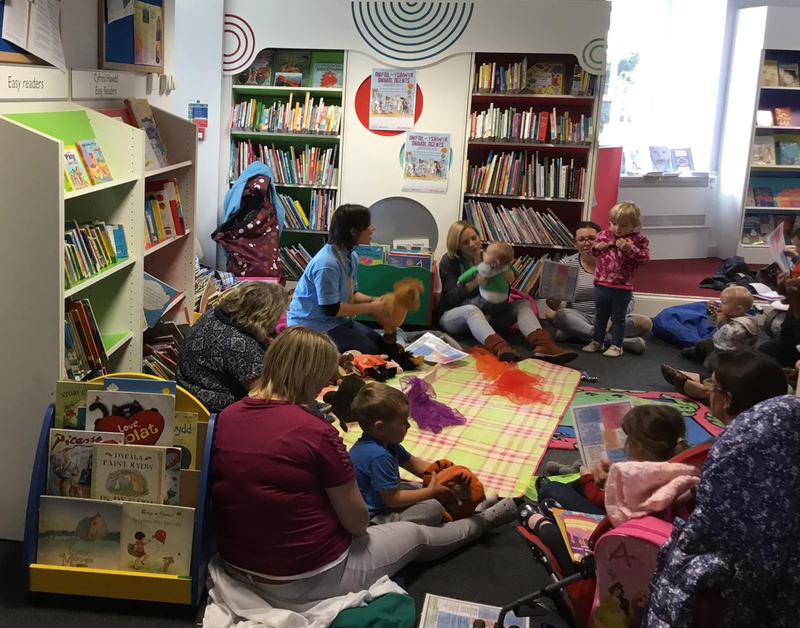 A Welsh story and rhymetime sessions is held at Aberystwyth Library every Tuesday afternoon at 2pm and Thursday afternoon at 1:30pm during term time and story time every Monday at Lampeter Library at 10:30am. For those who are learning to drive, a free service available at Ceredigion Libraries is the ‘Theory Test Pro’. This is a highly realistic online simulation of the UK’s driving theory tests for all vehicle categories and can be used online at home. Become a member of Ceredigion Library by calling in at one of the five libraries across the county or email llyfrgell.library@ceredigion.gov.uk. For more information on what Ceredigion Libraries have to offer, visit the Council’s website, http://www.ceredigion.gov.uk/index.cfm?articleid=348.